“Our days are like grass. Baby namings can be done at any age and the Rabbi can be contacted to both help with chosing an appropriate Hebrew name and to schedule a naming. They usually take place during a Friday evening service. Families can discuss sponsoring an Oneg or Kiddush by contacting the temple office. Weddings can be scheduled through the Rabbi. You do not need to be a temple member for either a baby naming or a wedding. Non-members do pay a fee to Rabbi Kobey for her services. One day, we will all die; however death is a subject many of us would prefer to avoid. To live fully means to love and be loved. Eventually, we will suffer the loss of someone we love and the responsibility of making final arrangements will fall to us. It is important to know everything we can about the “facts of death” so we can make rational and wise choices before our bereavement. 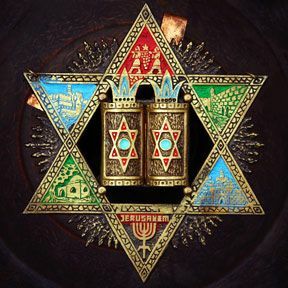 We offer a guide prepared by Rabbi Robert S Goldstein that is an attempt to explain the process from a Jewish perspective. We hope that you will never need to know this information, but most likely you will. It is our hope that this booklet will help ease your journey through the valley of the shadow of death. Rabbi Kobey will officiate at funeral services for member families of Congregation Or Chadash as part of their membership covenant. Non-member families may hire her to officiate at funeral services.